Although We (the royal we) would like to be officially affiliated with www.Dudeism.com and Oliver Benjamin, at this time, we are not. Therefore, the views expressed herein are not necessarily those of our compeers at Dudeism.com or The Dudely Lama. They're just, uh, like our opinions, man. We are here to serve the spiritual needs of Dudes (of both genders) throughout the New England region. 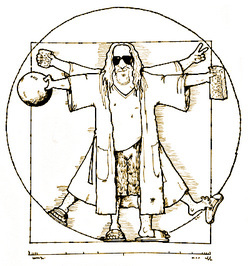 While Dudeism in its official form has been organized as a religion only recently, it has existed down through the ages in one form or another. 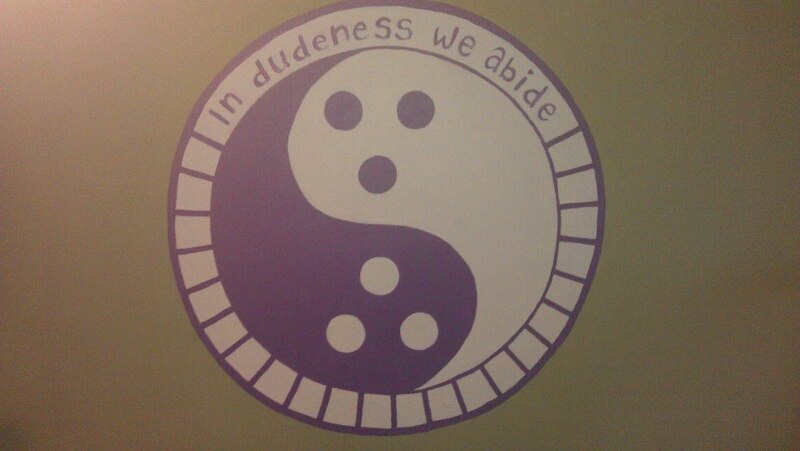 Probably the earliest form of Dudeism was the original form of Chinese Taoism, before it went all weird with magic tricks and body fluids. The originator of Taoism, Lao Tzu, basically said "smoke ‘em if you got ‘em" and "mellow out, man" although he said this in ancient Chinese so something may have been lost in the translation. Down through the ages, this "rebel shrug" has fortified many successful creeds – Buddhism, Christianity, Sufism, John Lennonism and Fo’-Shizzle-my-Nizzlism. The idea is this: Life is short and complicated and nobody knows what to do about it. So don’t do anything about it. Just take it easy, man. Stop worrying so much whether you’ll make it into the finals. Kick back with some friends and some oat soda and whether you roll strikes or gutters, do your best to be true to yourself and others – that is to say, abide. Incidentally, the term "dude" is commonly agreed to refer to both genders. Most linguists contend that "Dudette" is not in keeping with the parlance of our times. Also, I should probably point out that the majority of the artwork used here is borrowed from other sources. We're not trying to scam anyone here. If we use something we shouldn't, please let us know.